It was freezing cold here in New York last Saturday morning and to keep our drafty brownstone toasty warm (us lacking a wood burning stove in the kitchen), I turned the oven to 350 degrees. And not wanting to waste all that good heat, I decided to whip up this recipe. 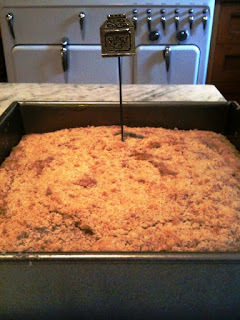 Plus DH loves a good coffee cake, especially the crumb topping. 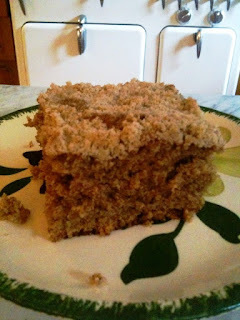 This is a delicious cake, and practically ingenious -- no need to make a separate mixture for the crumb topping, The topping is simply part of the cake mixture (removed before the wet ingredients are added), reserved and sprinkled atop the cake before baking. 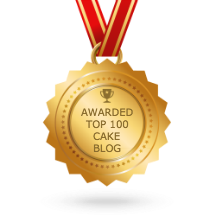 This cake speaks to a time when baking short-cuts (like this unusual all-in-one topping) saved time without sacrificing wholesomeness, flavor or quality. They allowed for home-baked goods from scratch -- not from a mix made of ingredients put together six months earlier in some factory in Iowa. 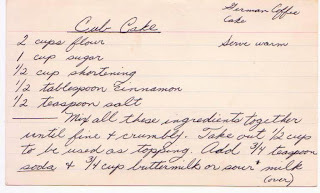 Cub Cake is one of those cakes that perfume the whole kitchen and is so easy to put together, that I imagine it was made often as an after-school (or after church) treat. 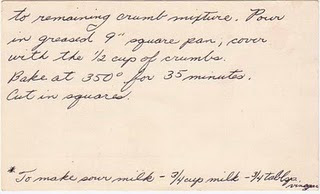 Today, one might be tempted to add more butter, and perhaps some chopped nuts, to make the topping richer. But then, one would miss the beauty of the simplicity of this "everyday" cake. And despite the recipe author's instruction to serve warm, it actually tastes better the day after it's baked, the flavors having a chance to marry.